Chickens are unfortunately prone to getting respiratory problems from dusty bedding. Inhaled dust goes into the caudal air sac and small lung as well as into the crannial air sac. If birds are kept for too long with inadequate ventilation or in a dusty environment, their breathing will be laboured and will ‘rattle’. This will soon cause infection in the respiratory system. Adding Finacard to the chicken house. Providing sufficient ventilation in a chicken house is very important but also, what you use on the floor of your hen house is surprisingly important. 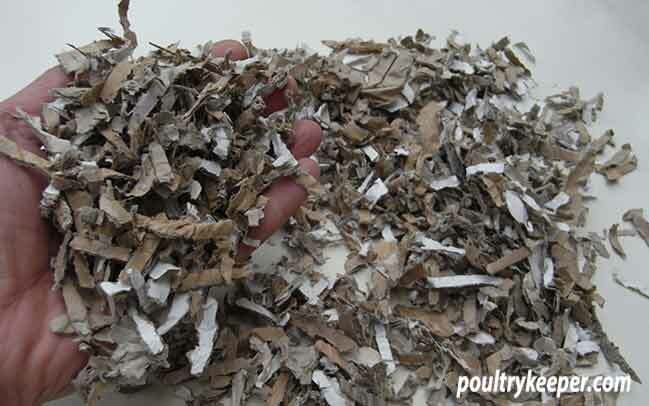 Using dust extracted wood shavings is the most popular choice – a recent survey on our poultry forum showed 61% of people that voted were using wood shavings, 17% were using straw and 13% were using other bedding materials such as Hemcore or Easichick. Wood shavings are by far the most easily found in pet shops and livery shops but even though they are ‘dust extracted’ they are still not perfect and some can still contain a fair amount of dust. I try to compost all of my old bedding material but wood shavings take around 18 – 24 months to compost properly which is not ideal if you only have a small space in which to make compost! I have been trying out the chopped cardboard bedding from Finacard and have been pleased with the results. 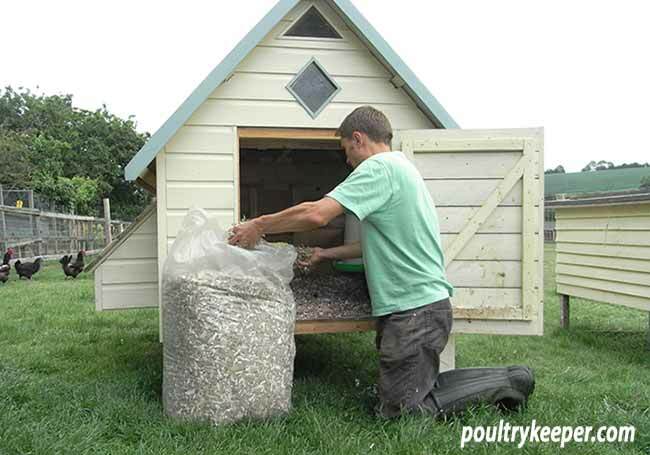 The bedding of course composts far faster than wood shavings but the main advantage for my birds is that they have a completely dust free bedding material which can only help them in the respiratory department. Finacard is made up of small strips of cardboard. The card is slightly corrugated in places and I found it was absorbent and didn’t compact down too much during use. An added advantage over the wood shavings was not immediately apparent but after a couple of weeks, I found the bedding that had been trodden outside of the coop onto the grass was easier to clear away than the wood shavings that tend to get trodden into the grass. Finacard Chopped cardboard poultry bedding. Finacard cardboad bedding certainly gets the thumbs up from me. Finacard currently costs £13.99 for a bale including VAT and postage. Most of this cost of course is in the postage. Further information is available on the Finacard Website. A competing product is Ecobed, again a cardboard bedding. The difference is Ecobed is made of chopped squares of cardboard.